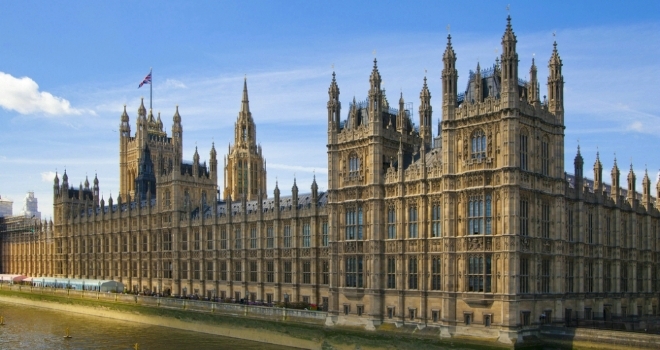 Is the government’s HMO legislation failing? New figures obtained by Simple Landlords Insurance appear to show that government plans to protect tenants from poor living conditions through the expansion of mandatory HMO licensing look set to fall way short of their ambition. According to the data, the majority of local authorities don’t know how many unlicensed HMOs are in their area – let alone where they are – leaving them ill-equipped to seek those who break the rules or take advantage of new enforcement powers. The findings reveal that the rules are “practically unenforceable”, according to one HMO licensing expert, with the government’s recent commitment of £2m of additional funding to help implement the scheme unlikely to have any real impact. The freedom of information requests returned by 90 local authorities have shown that two thirds (65/90) of local authorities have no idea how many landlords are breaking HMO licensing rules, nearly one third (29/90) have no idea how many properties should come in under the new regulatory scheme and over a third (31/90) did not prosecute any landlords for infractions of existing rules in the last two years. There were only 103 HMO licences rejected at application over the last 12 months, versus a total of 18,881 licenses granted. Houses in Multiple Occupation (HMOs) containing five or more people in two or more households with shared facilities such as a kitchen, bathroom or toilet must be licensed. To gain a license, landlords must now pass a ‘fit and proper’ test as well as providing proof of compliance with fire safety regulations and provide tenants with a written statement of the terms of their occupancy. The rules were widened on 1 October, removing a minimum three storeys high requirement whilst new conditions on minimum room size and waste collection were imposed. The government’s Housing Minister Heather Wheeler MP claimed the new rules would increase the number of mandatory HMO licenced properties in England from 60,000 to an estimated 220,000 properties. However, this new research shows local authorities are hamstrung in their efforts to apply the new legislation – due to a combination of poor intelligence about housing stock and stretched resources. Amongst the local authorities that have the intelligence and data to make a prediction about how many more HMOs would need a license, cities unsurprisingly show a major hike. Liverpool City Council had 1,195 HMOs with a mandatory license before 1 October, and expects that 5,000 will require licensing. Birmingham expects numbers to swell from 1,853 to 4,000 and Southampton expects the numbers will increase from 551 to 2500. Many London boroughs had no idea at all how many additional HMOs would come under scope, whilst those that did are expecting a huge jump – in Greenwich from 147 to 3,250 HMOs under scope. 66% of the local authorities who responded were able to estimate how many HMOs were likely to require a mandatory license from 1 October, and the average increase recorded was 227%. Environmental Health Officer and Chair of the National HMO Network Paul Fitzgerald, explains: “Most local authorities simply do not fully understand the housing stock in their area, and they are kidding themselves if they claim that they do. Trying to identify an HMO from scratch is an incredibly challenging job, made harder by the failure to join up systems like council tax and benefits registers, and immigration databases. Those who are determined to break the law do not apply for a licence in the first place. Richard Truman, Head of Operations at Simple Landlords Insurance commented: “Earlier this year, we found that 85% of landlords we spoke to weren’t aware of the looming HMO regulations. A month on from their implementation, we wanted to find out exactly what those landlords are facing on the ground. The changes may be well-meaning, but a failure to support local authorities to communicate about them and enforce them is bad news – for good landlords and for tenants.